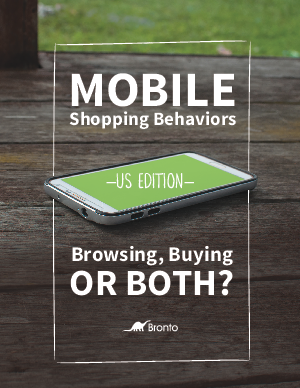 > Bronto > Mobile Shopping Behaviors: Browsing, Buying or Both? We surveyed thousands of consumers in the US, the UK, Australia, Canada and the Netherlands to see how they use mobile technology to interact with retailers. This report details how browsing, product research, comparison shopping and buying have all been transformed by mobile technology. How having children in the household affects mobile shopping. Which customers are most likely to use their phones while shopping in-store.